The Shriver Living Learning Community was UMBC’s first Living Learning Community, now one of ten LLCs on campus. 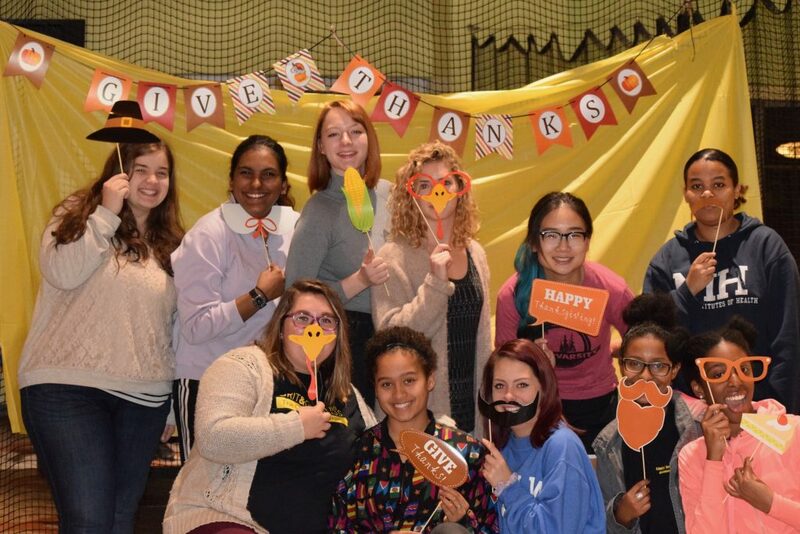 Members of the Shriver Living Learning Community (SLLC) are deeply connected with the Center’s vision to lead meaningful social change through transformational higher education. 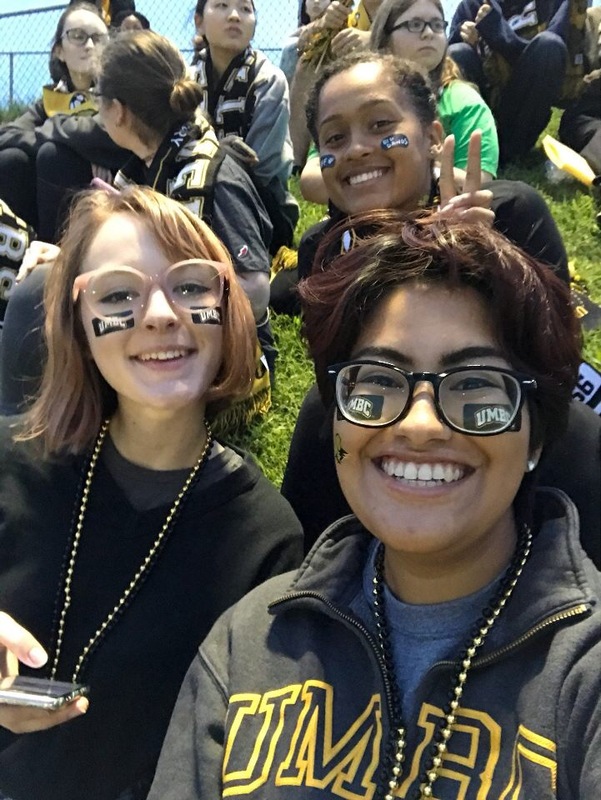 SLLC members represent diverse majors and interests, yet are connected through service, leadership, and advocacy. 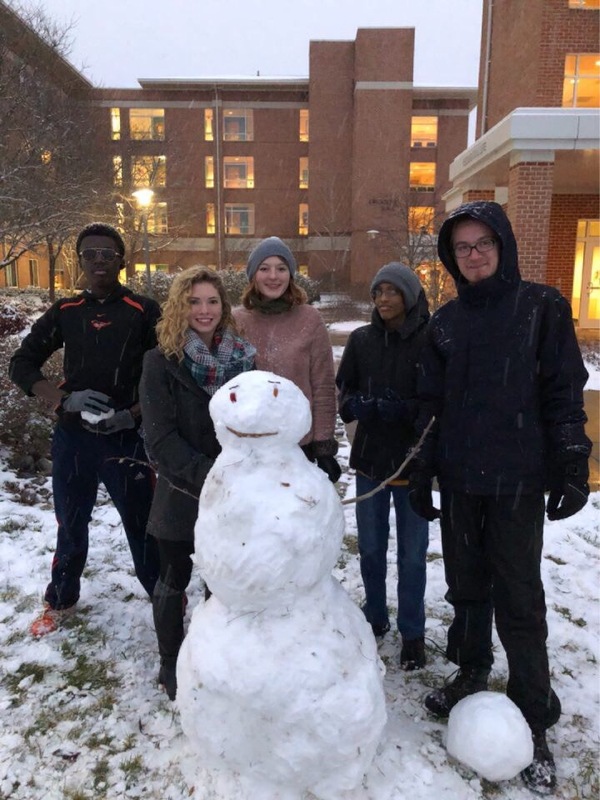 Peer Mentors (SLLC returners) support a positive transition for new members through relationship-building activities and resource exploration. 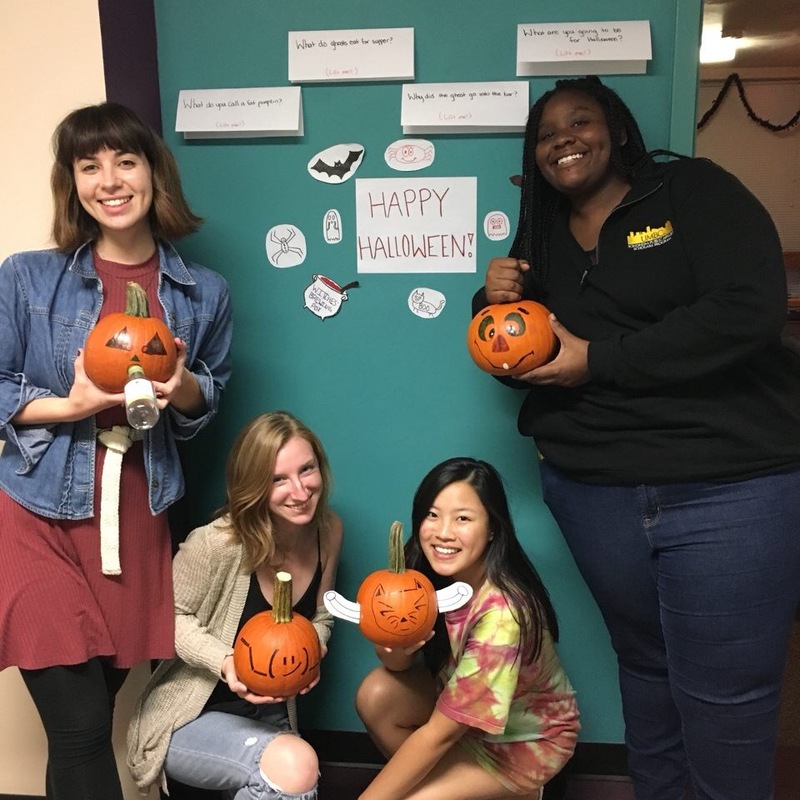 Each semester, SLLC members participate in the 096 Community Service & Learning Practicum (for more info, visit 096 Community Service & Learning Practicum). 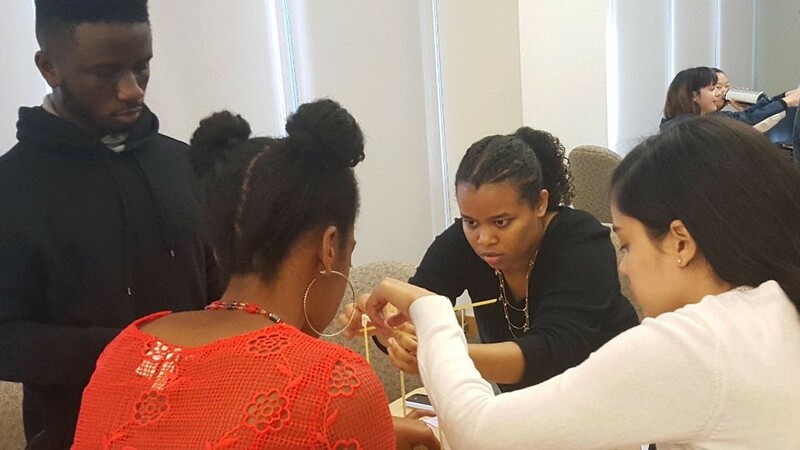 Throughout the year, students participate together in a one-credit course exploring civic engagement through the lens of Sargent Shriver (every other Monday). 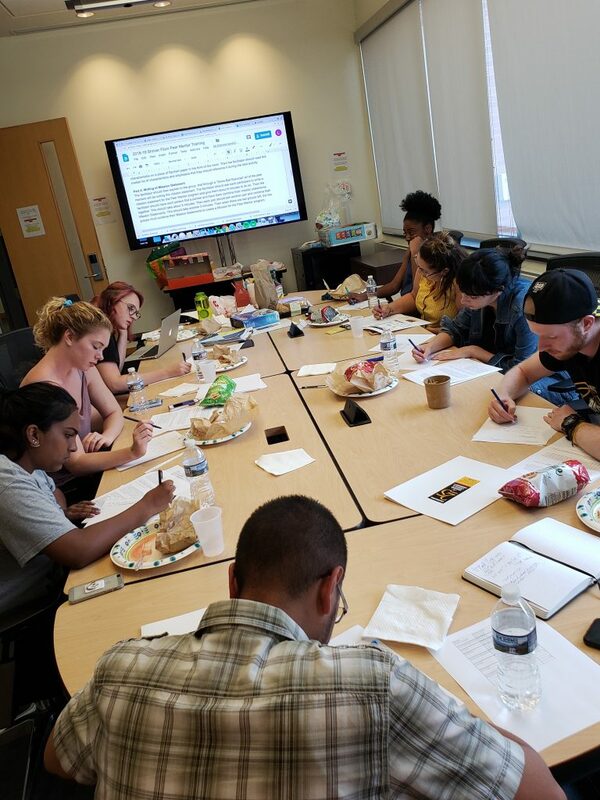 This class integrates reflection of service and civic engagement opportunities around campus with guest speakers from UMBC and community organizations in and around Baltimore. Research strategies to address social issues on campus at UMBC and the greater community. 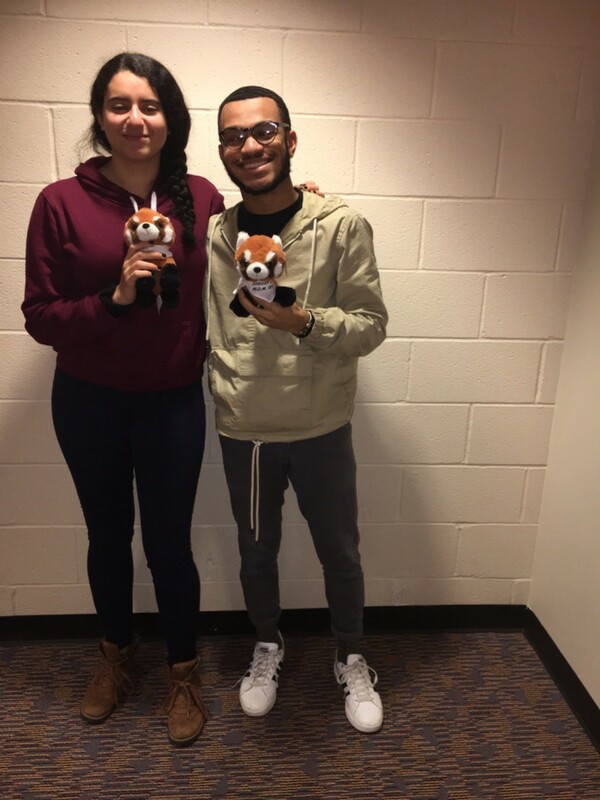 2018-19 Shriver LLC “Mentees of the Month,” from left to right, freshmen Hager Younes for October 2018 and Thomas Southerland for November 2019. Hager and Thomas were nominated by their peers for their dedication to community building and engagement. Congrats to them both! LLC members were more satisfied with their overall academic experience on campus than students not involved in an LLC. Students were more engaged and involved on campus than students not involved in an LLC. They interacted with more university faculty and staff members than students not involved in an LLC. LLC members had a greater understanding of diversity and multiculturalism than students not involved in an LLC. 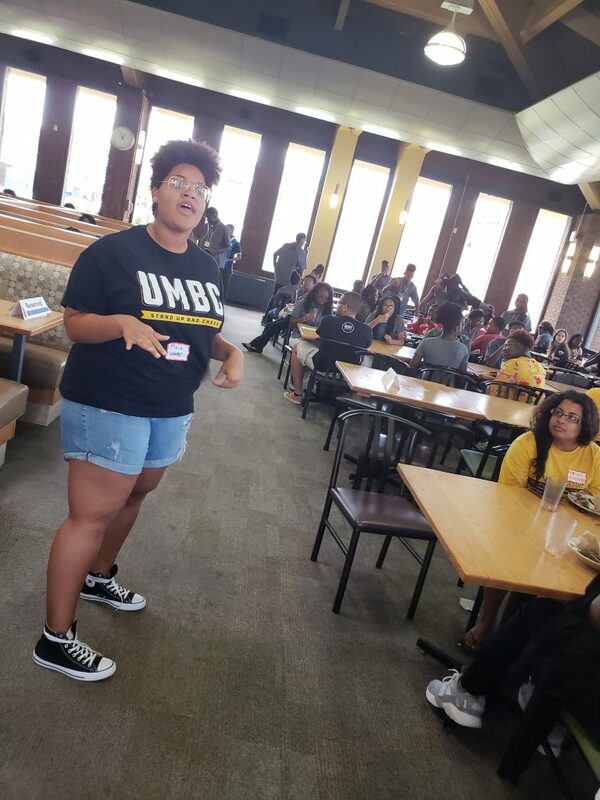 In September 2018, freshman Maia Parker, an aspiring teacher and Sherman STEM Teacher Scholar, is using her “teacher voice” in True Grits when hosting a visit by the Greater Baltimore Urban League’s Saturday Leadership Program. 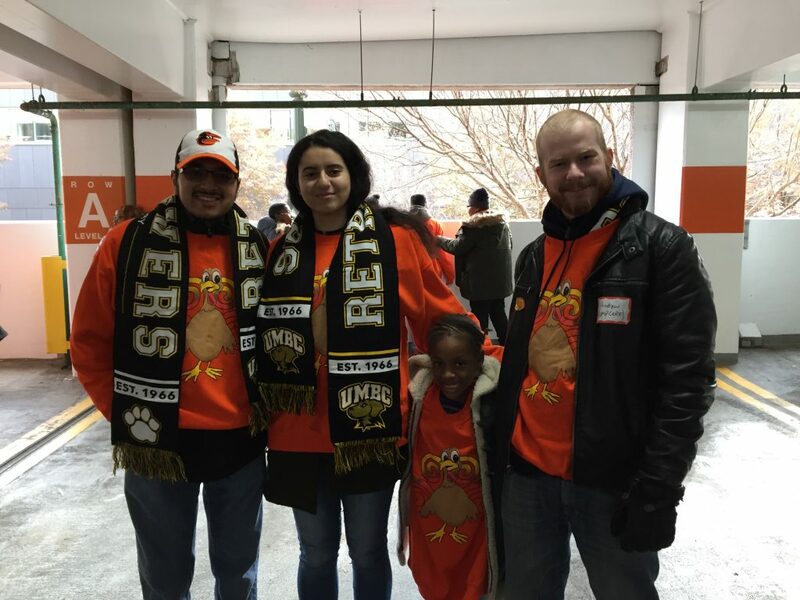 2018-19 Members Zuriel Herran, Hager Younes, and Andrew Simpson attend a parade in which their service site UMB CURE Scholars were featured in the local parade. 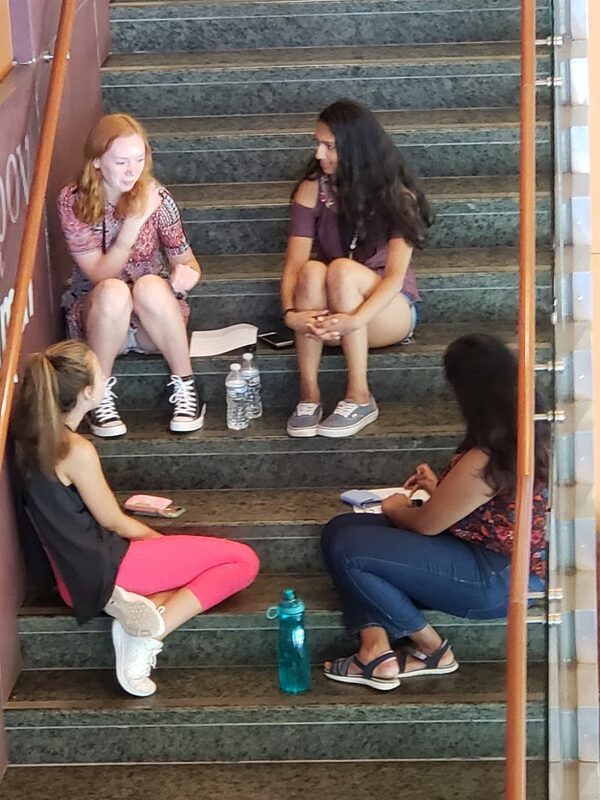 Peer Mentor Orientation (August 2018). 2018-19 marks the 5th year of a formalized Peer Mentoring Program. 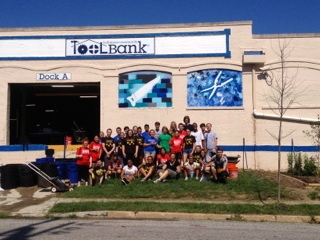 Shriver LLC members and alums at the 2017 Fall Fun Fest, sponsored by the Living Learning Communities Council. Top row, from left to right, Kaitlyn Kylus, Juhi Naik, Ari Cacic, Genevieve Madden, FeiFei Ma, Meheret Gebreegziabher; bottom row, from left to right, Anna Arbach, Lexi Stone, Claire Murphy, Fikir Ejigineh, and Princess Njemanze. 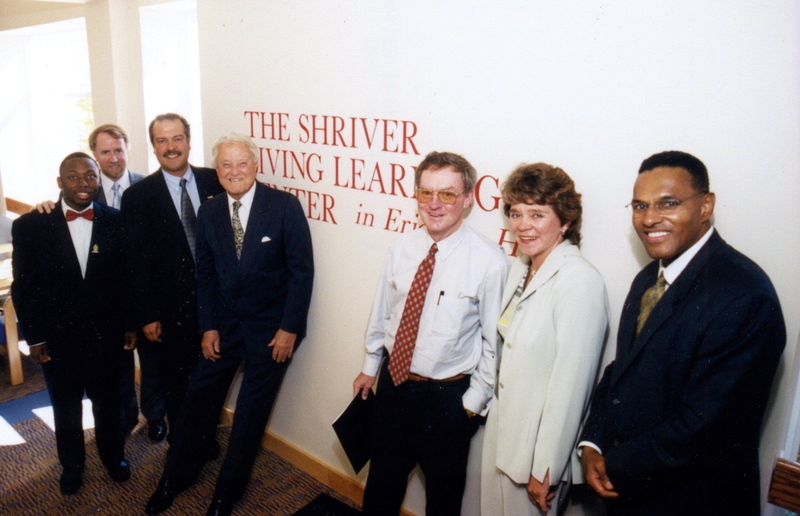 In 2000, Sargent Shriver attends “Ribbon Cutting Event” with Dr. Hrabowski and campus Administrators. 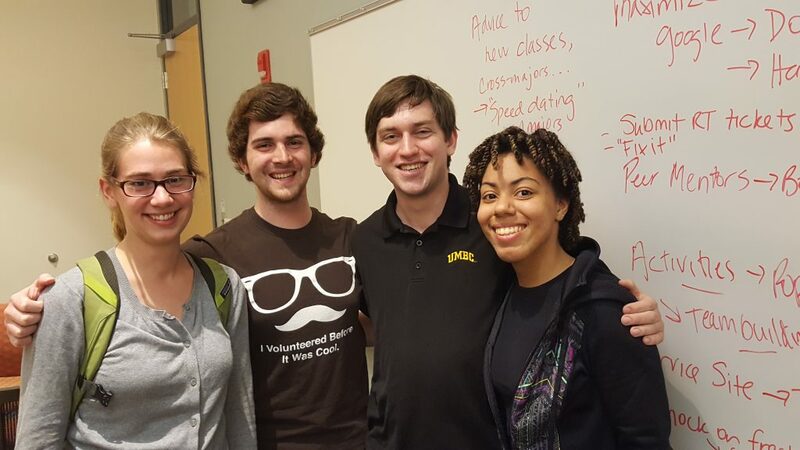 Members of the first class of Peer Mentors, soon to graduate are (from left to right): Jaelyn Bos, Michael Allen, Jeremy Matthews, and Ashley Troutman.